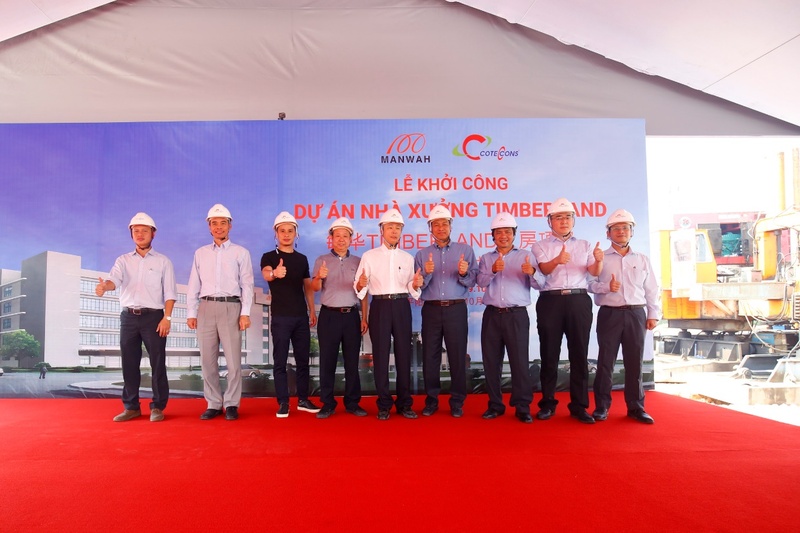 The ceremony was honorably welcomed representatives of the investor, general contractor Coteccons and other partners participating in the project. 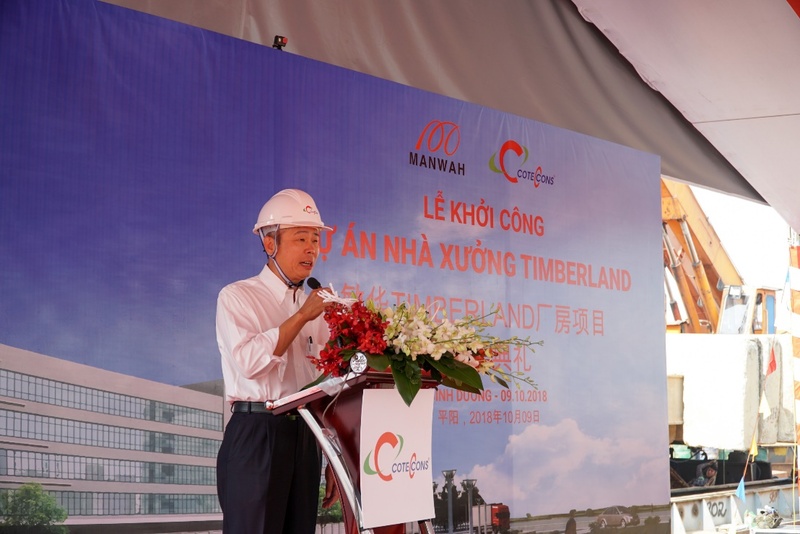 Timberland project is built on a site area of 40,000sqm included 8 blocks and a basement with a total floor area of 250,000sqm. In the future, the project will be a manufacturing and distributing factory of luxury furniture in domestic and international market. In this project, Coteccons is the general contractor for structural, finishing, MEP and infrastructure works. 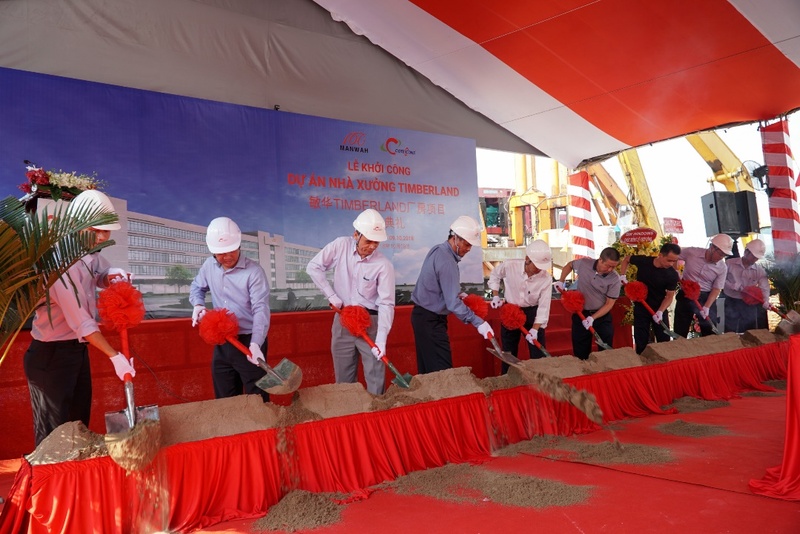 The project is expectedly completed within 10 months and handed over to the investor at the end of July 2019. 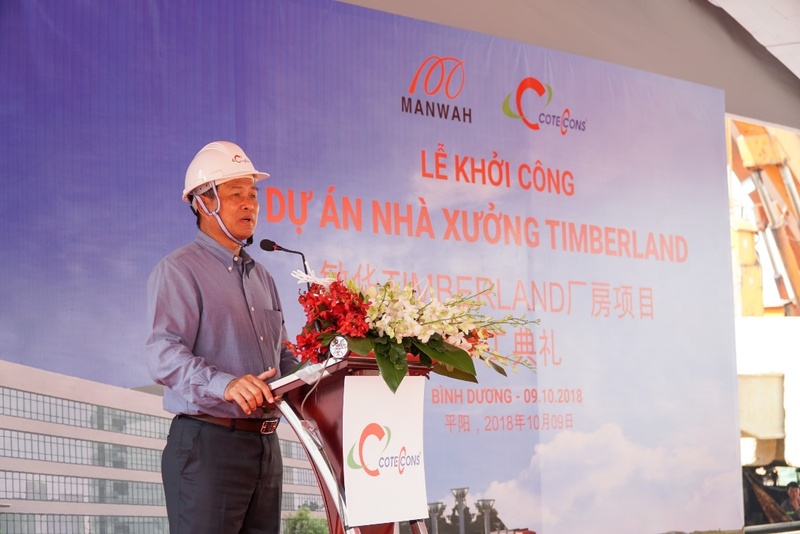 Delivering speech at the event, Dr Wong Man Li – ManWah Group Chairman said he saw a careful preparation of Coteccons in this project. 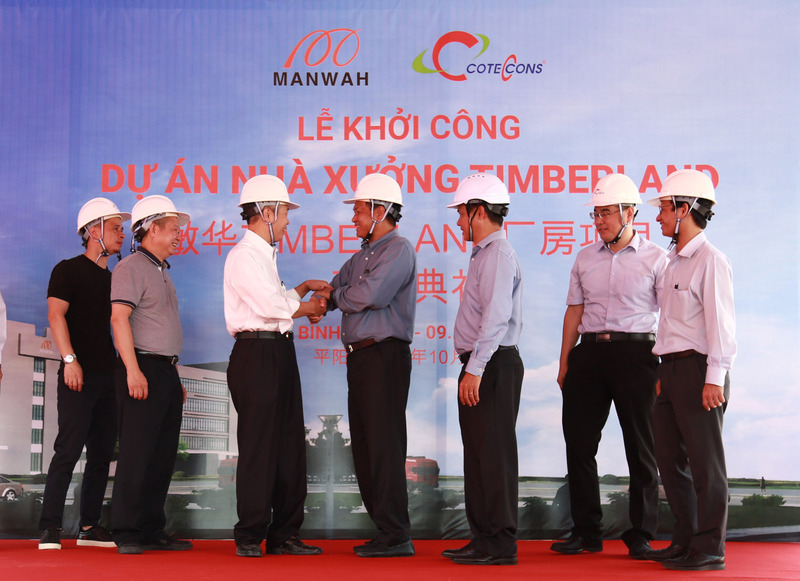 “Manwah Group will work with Coteccons to complete the project successfully”, he stated. 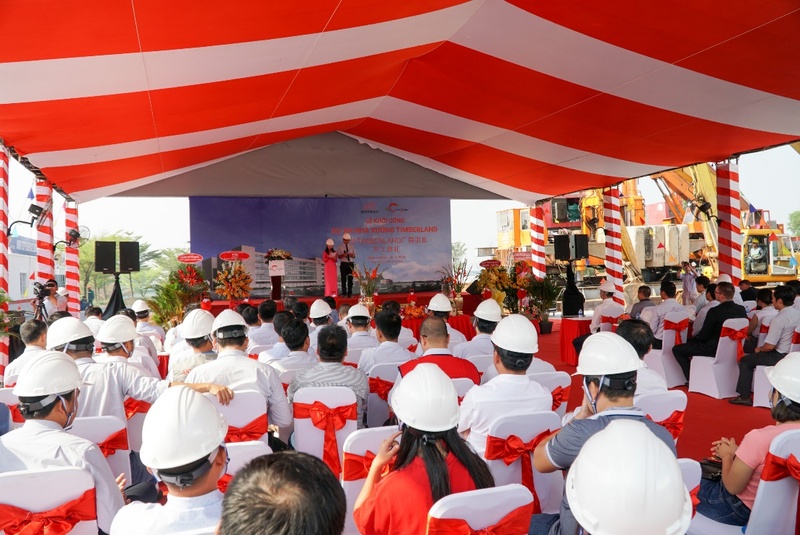 Mr. Nguyen Ba Duong – Chairman of Coteccons Group also shared the joy of being cooperated with the investor in this project. 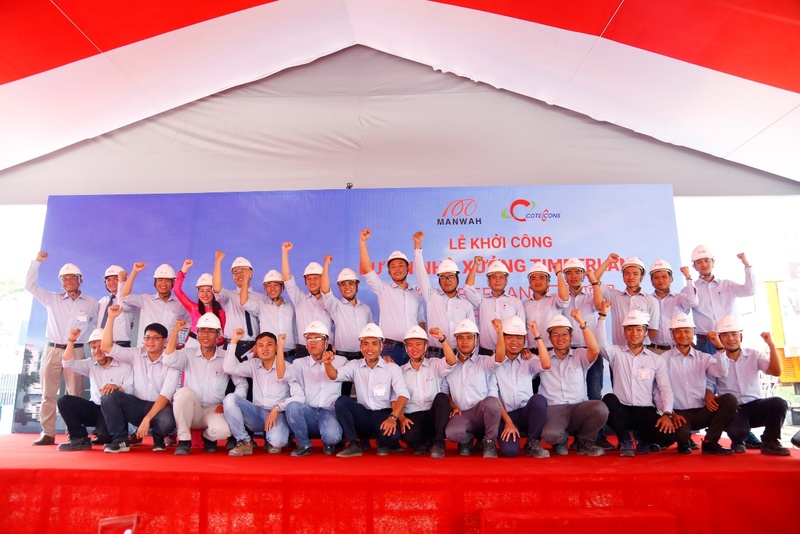 Despite its tight schedule, Coteccons commits to meet the quality, labor safety and support the investor in the installation of machinery for operation soon. Besides, he believes that with this good start the two sides’ cooperation will continuously go further in the future. The delegates and site management team showing determination to deliver the project on time with its quality and safety.